Does somebody knows, who makes motors bigger than the ones Freefly MoviXL have? 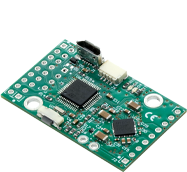 The around 16 ohms is good for extended board and alike they provide 1.5A for motors U=RxI = 16 x 1.5 = 24V that is also the maximum voltage the extended board can handle, so perfect match when used at 24V. For more tongue Pro Board is needed and lower resistance. 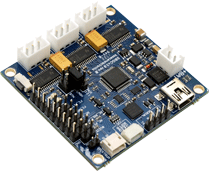 Pro Board can easily handle 5 ohms. The key is to fit as many turns as possible to the motors and to get the resistance ideal for the controller. There is many parameters that affect the motor torque and smoothness etc. There is also other important properties like the mechanical strength of the motor, trust bearings etc. that are especially important for big motors. I hope there would be some motor manufacturer interested to make a good big motor. I do not want it to be cheap, but it must be good. I am bored of the motors that just copy the old designs and make the same old mistakes. Very difficult to find any good motors for my applications. Thanks Garug, you are the only that answer my questions for a very newbie like me. By the other side, is there any "easy to use" software to develope a BLDC torque motors? Tenesor, I have experience with large motors for cinema payloads. However, the Freefly Movi XL motors are truly MASSIVE. It's a simple calculation. 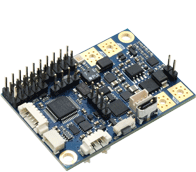 Motors with a winding resistance around 17.8ohms work great with SimpleBGC 32-bit Extended with motor outputs of 1.5A, but will not fully utilize boards like BaseCam Pro with 8A motor outputs. Obviously, for more torque you should be running your boards on 6S, not 3S. 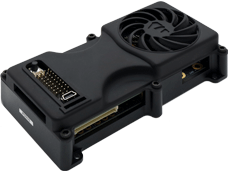 AOPEN, all of the latest revision of BaseCam boards operate at or above 24V. So what "High Voltage" are you talking about? 2) you said "High Voltage," and that board is rated for 24v. So what's your point? 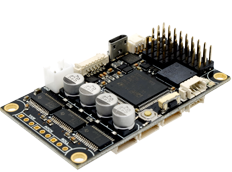 Still waiting for you to show us a "High Voltage 32bit BGC board"
Too many spelling errors to even understand you. 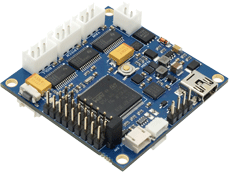 24V is not higher voltage than any of the other boards manufactured by BaseCam.